According to research published today (21st September) by EEF, one in six manufacturing businesses said business would become untenable for them if the UK reverted to WTO tariffs, increased border checks on people and increased border checks on goods. 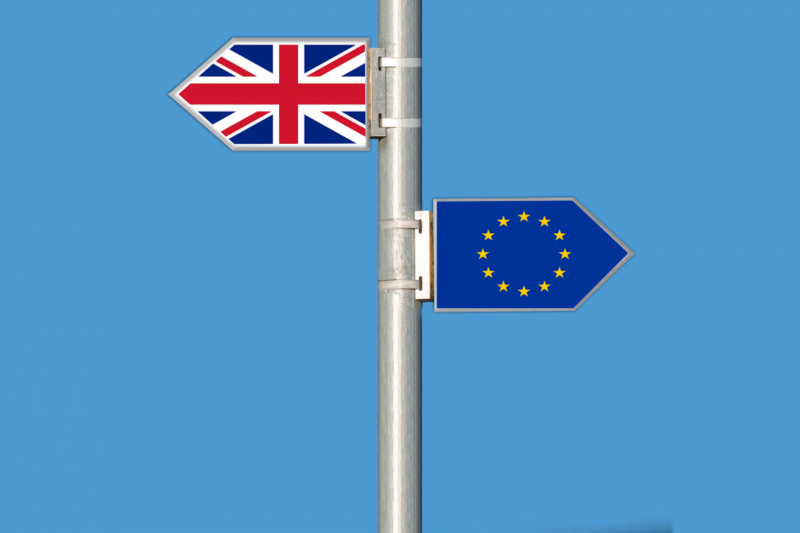 The EEF-commissioned ComRes survey of 500 manufacturing business decision makers finds with just six months to go until Britain leaves the EU, four in five (83 per cent) say that they are currently not prepared for a no-deal Brexit. Two in five companies (43 per cent) say they are not prepared – and will not be preparing – for what would happen if the government fails to strike an agreement. Moreover, 30 per cent of businesses said that they are finding, or expect to find it, more difficult to recruit workers with the necessary skills. A quarter said that as a result of Brexit they have put investment on hold, or are expecting to lose out on investment, lose skilled workers and new contracts. A similar number expect to change their growth plans as a result of Brexit. Respondents were uncertain about where future opportunities lie, with 24 per cent not clear what their biggest post-Brexit opportunity will be, but there was a definite appetite to take advantage of new trade possibilities, with 52 per cent of respondents viewing the US as the top priority for post-Brexit trade deal, and two in in five business saying that they are already exploring, or expect to explore, new markets outside the EU. Manufacturers are, however, clear on their priorities for the Brexit negotiations, with some 58 per cent of business leaders highlighting the need to retain no tariff trade with the EU, and half emphasising the importance of retaining full access to the single market. Remaining in the Customs Union was seen as important for 71 per cent of those businesses surveyed. Commenting on the research, Stephen Phipson, chief executive at EEF, said: “It is absolutely crucial that an industry that accounts for 10 per cent of the UK’s economic output and almost half of the country’s exports, prepares for exit day and all its possible implications. The figure of 1 in 6 failures is very similar to the number of businesses which failed in the late eighties when, following the government bankruptcy, Brazil was forced to open its manufacturing sector to global competition by the IMF as part of its terms for a government bailout. A hard Brexit in many ways is a similar situation (I was working in Brazil at the time). I can remember as a child watching television program showing a production line in a factory, and finding it so fascinating that I told my mum I wanted to work in a factory when I grew up. And here I am, a Manufacturing Engineer in a factory. I think she’s OK with it. Another good one – I was applying for some insurance or something and they asked my occupation. Quite what the difference is I’m not sure, but it was pretty clear that ‘factory’ was the ‘bad’ one. I hoped that when Mr. Scuoler left the EEF that they might review their anti-Brexit policy and support the changes needed to make Brexit successful. Wrong again! Where does the tariff money go? If to HMG, presumably some will simply be used to pay the salaries of Civil? Servants? and the remainder wasted on vanity projects (Millennium Dome, HS2, floating real-estate: Perhaps to pay the 6,000 extra administrators being hired (already, before we know the true costs!) to deal with the contracts. Is it the entire world that has ‘taken over the asylum’, or just me! Tariffs collected currently go directly into the EU badget. Hmm, the Engineering Employers Federation – the trade union for employers ( some of which companies are foreign owned) – my experience with them is that when workers ask for an RPI raise in wages for a good job done and just to maintain some standard of living – they simply tell you to be grateful your jobs are not being transferred to Poland/Italy/France/Germany/Belgium/country of your choice – Industry is always saying they want certainty and predictability, and if they can make money, they are quite happy to do business with authoritarian regimes who insist they partner the state industry and transfer their IPR, allowing themselves to be micromanaged in the process and selling the very rope by which they will later be hung by. Still, at least they know what to expect. I would assert one of the attractions of the UK to foreign and domestic firms has been the relative ‘flexibility’ (i.e dispose-ability) of the UK workforce compared to some EU nations. Sorry to sound so cynical, but I cannot believe UK industry can really be so hopeless as to not cope with what much of the rest of the world can . No it isn’t just you Mike as the tariff money goes straight into the pocket of the EU and nobody else, the alleged civil servants see nothing og it but they are bought off by the EU as many get their pensions (gold plated) directly from the EU and they are allowed to retire at 55 unlike the majority of the UK. Civil servant retires at 55 and gets their full salary for 5 years, they can retire at 60 unlike the rest of the population, and they get their full finishing salary minus 2.2% which means that when you factor in the reduction in running a car, eating out at work, and many other things, they are financially better off not going to work. What really alarms me is the high percentage of businesses who are not prepared for Brexit and the high number not bothering to prepare for Brexit and if they cannot be bothered to prepapre then they deserve their businesses going under. I have to agree with Martin, it is shocking to see the low level of preparation by management for No Deal. All businesses should have been preparing for No Deal on the basis that any other outcome would be better. Clearly the management of these businesses are not fit or competent to hold their current job and should be sacked for incompetence. Our company like the rest of the UK export 60% to Europe and the rest to non European customers. A hard Brexit would be unwelcome but we have the knowledge and experience to adapt. This is the type of response we should be seeing, there is an issue so we will deal with it, and while the trade percentages may be biased towards EU countries your company do not have all their eggs in one basket, and I wish you well. Having been a manufacturer, exporting for over fifty years to currently more than 70 countries; with sales offices in the USA, Germany, Australia and China; >90% exports, many millions of pounds worth of scientific products in that time: with personal experience of exporting before we went into the Common Market, can somebody please explain what we are going to be able to do after Brexit that we could not do before if anything and if there is, how we are going to be able to do it better? Our Minister for Airmiles seems to think that when people greet you politely, smile and make you very welcome when you have travelled half the way around the world to meet them, that in itself equates to a very good Free Trade Agreement! The last thing this country needs, by the way, is an FTA with the USA, that would be very much a one-sided affair opening us up to all sorts of malpractice and litigation. I have had a company in the USA since 1975 and I think I have a little more experience in how they operate than some of our naive politicians. If the Government cannot negotiate a deal amongst themselves there is little chance of them doing it with another country! When a large proportion of the people who voted out did not have a clue of what they were voting for, save the false promises and exaggerated rhetoric of the Leave Campaign, surely some of them at least will now realise that they cannot be better off, possibly in their own lifetime, than they were before. I do not, support a Federal Europe or think that the EU is perfect and does not need changing, and for which change there is also a lot of support in other countries, however, walking out of 60 FTA’s, thinking that by telling the other countries that their pain will be as great as ours in a NO Deal Brexit is not a logical negotiating position. Can we please end this totally embarrassing nightmare as soon as possible and put it to another well thought through and well-presented referendum with some semblance of reality in the arguments, at the same time taking party politics out of the frame. It should be an all-inclusive debate, not a political one. Staying in the EU means, eventually accepting a federal EU, in fact we already HAVE a federal EU, albeit a weak one. Different nations understand the term differently, some EU countries already understand they are no longer independent nations but regional voices within a federal Europe. We (the UK) have been trying to change the EU since ’75… without success and as the EU consolidates power in Brussels and embraces QMV further, not only would our influence wane, our chances of reforming the EU go with it – we have been a break on unification but we have not and could not stop it. This is the stark reality. It is what made me a reluctant leaver. Brexit is the last exit before the toll bridge, if we don’t take it, there won’t be any others. The role of referenda in the UK is what is being questioned here. They are used when Governments cannot give proper leadership: inevitably the outcome is a close decision. The worst issue in the Brexit debate is that the MPs have never wanted it and are alongside the middle-classes in opposing all options in the hope of creating a new referendum. I would love to see the result of a new referendum on Brexit and would gamble heavily on the result being an even bigger vote for Brexit, however such a move would negate any future use of referenda. This is a concerning report when such a high level of companies are not prepared to change and do business outside Europe and it appears to be nothing more than laziness and trying to maintain the status quo, and they have their heads firmly stuck in the sand. Its time to get real, we operate in a GLOBAL economy and trying to stick with the EU (15% of the world) is suicide and a lesson we should have learned some time ago, why trade with 15% of the world when you can trade with 100% of the world. These businesses should go bust and we should all wave goodbye and support new businesses who will operate in a world economy; we lost our engineering dominance through apathy once, has history taught these businesses nothing. Financially its spread betting, trade with 30 countries and you have income from 30 countries, lose one country and you can replace it and be more inconvenienced but financially secure, trade only with the EU and lose that market and you could go bust. I did once have a boss (yes, it was in the USA) whose view on business of any sort, industry, and area of the world was simple. “Who has who over the barrel! because that defines who can to what to whom. During our Empire past, it was we who ‘s***wed* everyone else until they became strong enough to either take their chips away or actually started s****ing us. I believe that for almost a century now, we, because of our past have tried to mix-it with the real power players: and failed. Had we concentrated on what were our strengths -innovation, design, precision, value added (not just retail profit added) and the intellectual power that offered such…who knows what might have been possible. But we dissipated our intellectual enthalpy and entropy in petty squabbling amongst ourselves: and still do. The fact that 1 in 6 manufacturers will not be able to operate after Biscuit is of little importance to those who do not even know what manufacture is, let alone what it actually does.